We are committed to create opportunity for Detroiters – particularly those who are not academically-inclined – to leverage the skilled trades to connect to Detroit’s revitalizing economy. C.A.N. 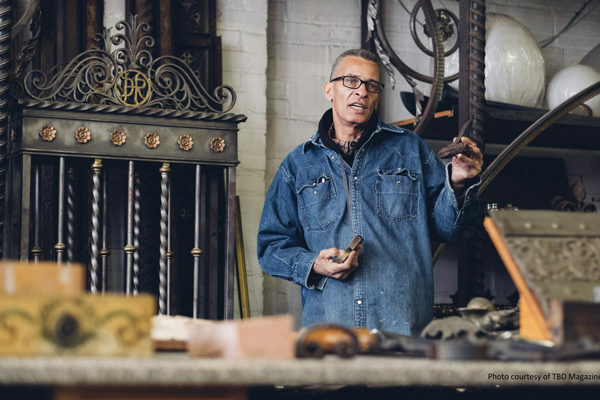 Art Handworks has been applying the age-old art of blacksmithing to produce architectural and functional metalwork in Detroit for the past 30 years. 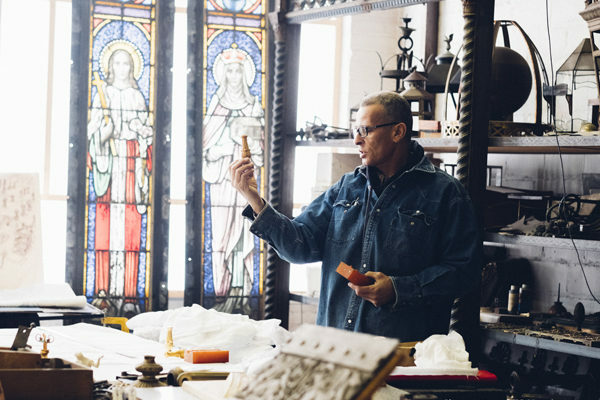 Led by artist and master craftsman Carl Nielbock, our workshop fabricates everything from historic reproductions and ornate wrought iron designs to innovative “upcycled” windmills. CAN Art Handworks founder Carlos Nielbock developed his upcycled Low Altitude Wind Turbines in response to the city’s financial crisis and the resulting search for sustainable alternatives. 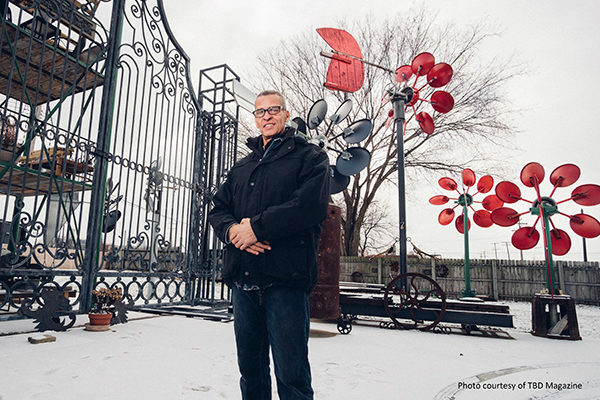 Since 2008, this project has inspired many residents and visitors of Detroit, who have seen these functional works of art spinning throughout all seasons of the year. 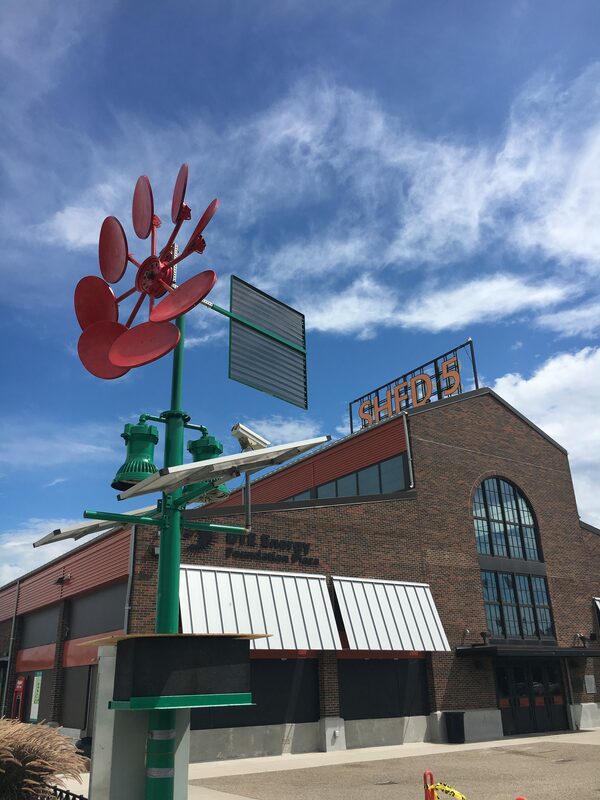 Two of our upcycled, custom engineered, hand-built and interactive Wind Turbines will be installed in the Eastern Market District in summer of 2018, for all city visitors to touch and enjoy during September’s Design Month. 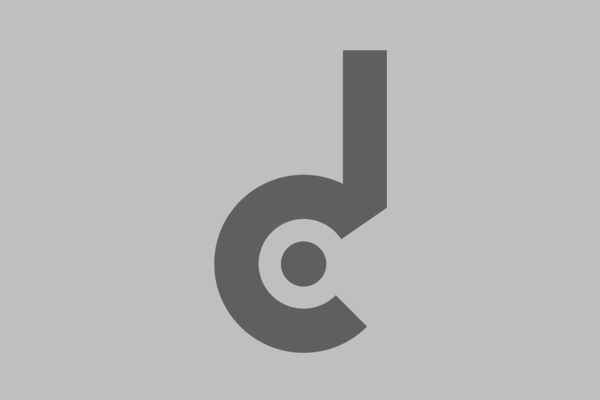 Nielbock believes that City of Design initiative is critically important for the city today. He led an upcycling workshop in Graz, Austria in Summer 2017 and has visited numerous other UNESCO partner cities. In addition to Wind Turbines, he has also championed the restoration of Detroit’s historic light poles and the rebuilding of the Clock Tower from the Old City Hall.